The Pontiac Tempest was introduced as an entry-level compact in 1957, continuing through 4 generations until being discontinued in 1991. Although eventually replaced by the Grand Am sedans, collectors still seek the Classic Tempest models as collector cars. 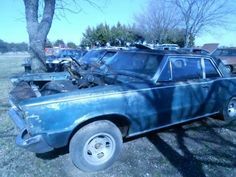 Find your own Vintage Pontiac Tempest here at OldCarOnline.com.